A Note of Spring - Searching within a subject and finding what is to be translated is a difficult part of the process. Once I leave the subject itself and see it through the issues of painting, then use those on my terms, all possibilities begin to open. That's the hardest part for me. This turned out beautiful. 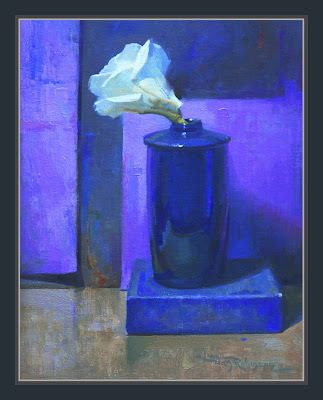 The balance between the representational and abstract elements in your paintings is masterful. It just gets better and better! Love the abstract patterning in this one. Ditto what Chris said Don. Masterful!! Wow, love it. How am I just now seeing your blog for the first time? Sweeet saturated palette and very effective values. Will be back for more!